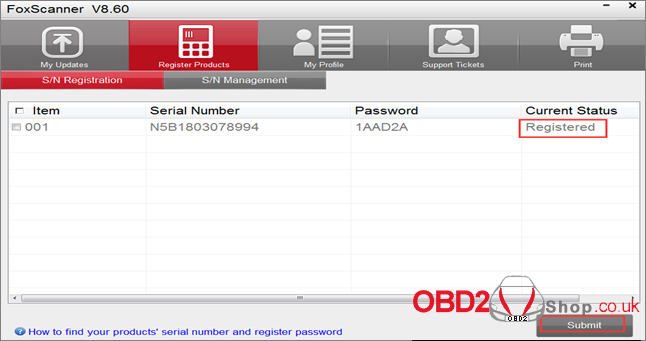 Foxwell NT520 multi-system OBDII scanner features in: 1. adopts 9X35+128MDDR+SPI serial port screen 2. Adds Mercedes Benz, Renault, PSA car models when comparing Foxwell NT510. 3. Simplify the update way: via USB cable instead of TF card. Download the car software that you want and then update. * If the machine is pre-installed the car software, you can use directly. How to register Foxwell NT520? If you want to update the car model application, you need to register the machine first. Run “FoxScanner” on the computer, login and choose ” Register Products”, then the FoxScanner tool will automatically read out the SN and password. Click on “Submit” to register. 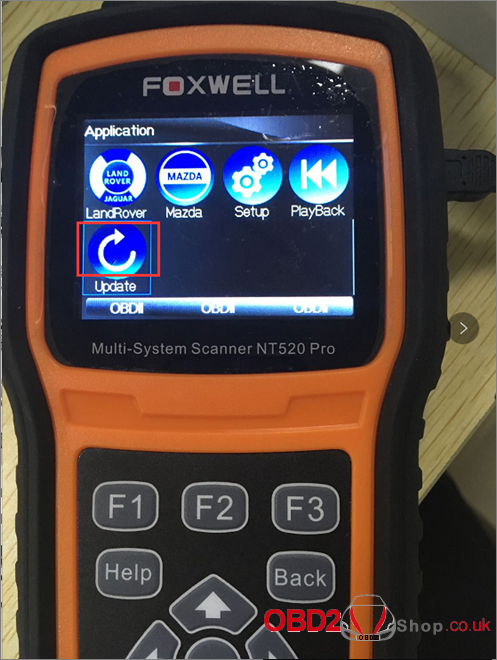 How to update Foxwell NT520? 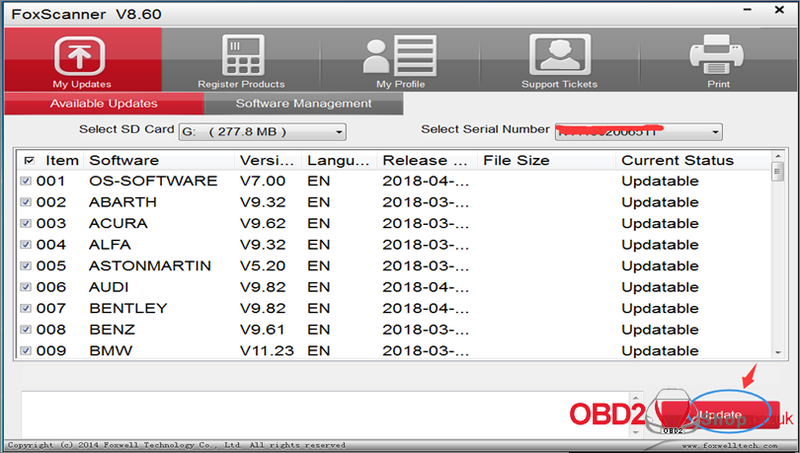 Run FoxScanner on the computer, log in and click on “Update” icon to update. How to check the update process? 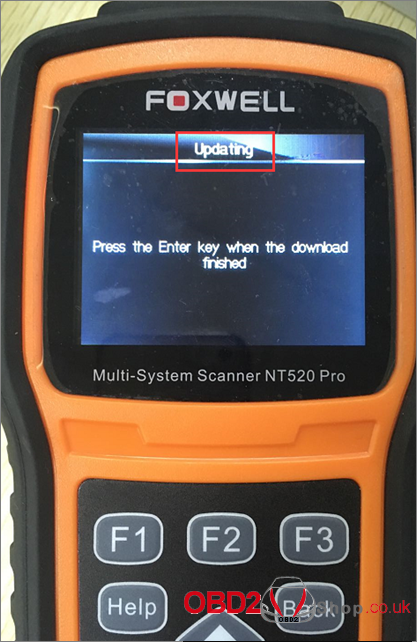 When Foxwell NT520 is updating, you can see the process, after finish, press ENTER to start. Since Page 39, you can read Foxwell NT520 register and download procedure. Apart from that, you can also use the following method to register and update.